Fragrant and flavorful! 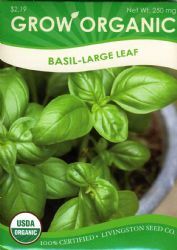 The large leaves of this basil are ideal for salads, pesto, meats, and eggs. Slow to bolt and flowers are edible.